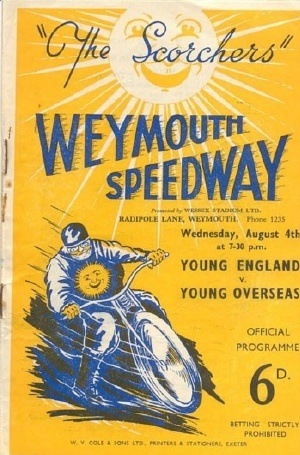 UNOFFICIAL Note: This was the first-ever meeting held at Weymouth. 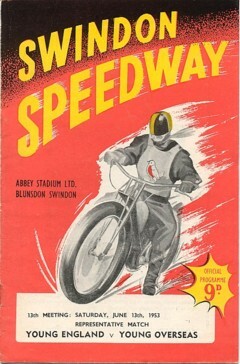 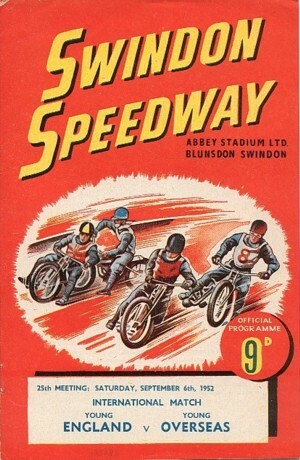 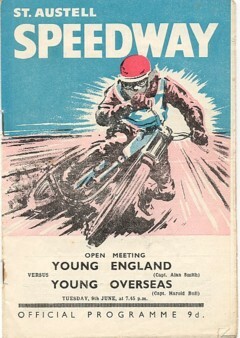 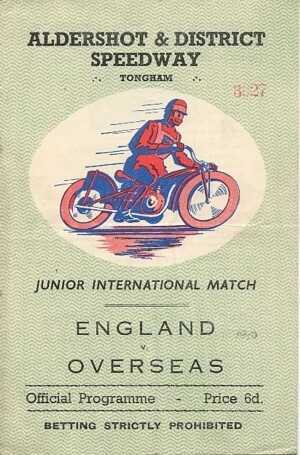 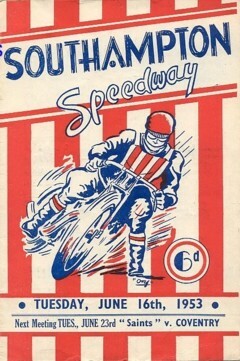 This match was officially designated as a "Junior Test Match", and is notable for the first international team appearance of Ivan Mauger. 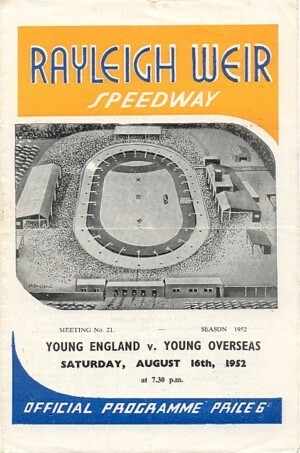 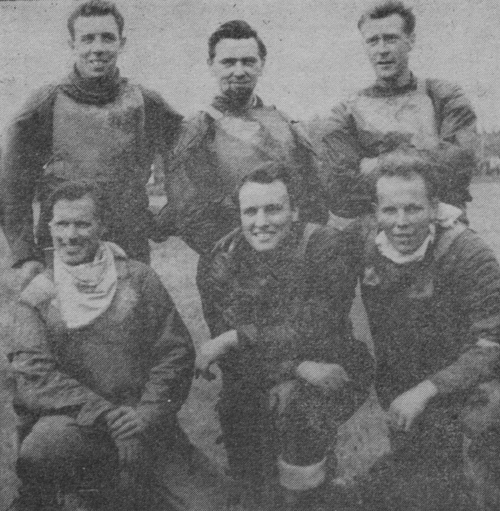 England were without Leo McAuliffe, who broke down on the way to the track, so Ross Gilbertson replaced him in the team and Bob Warner, who had attended the match as a spectator, borrowed novice Ken Vale's equipment and became reserve. 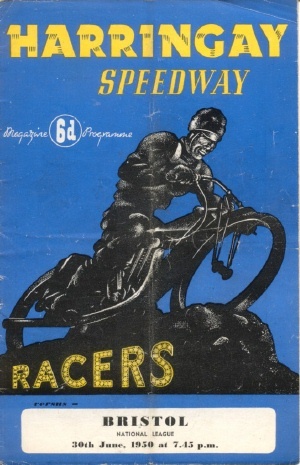 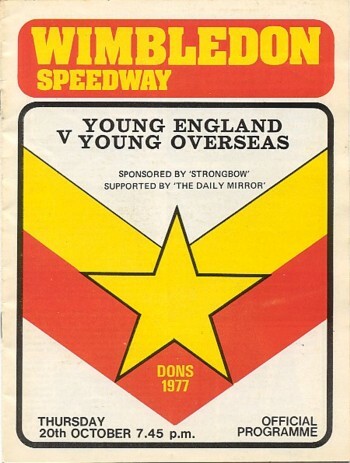 It was to be the peak of Warner's speedway career for, with Overseas holding a 3-point lead after 11 races, and England robbed of the services of Bobby Croombs and Frank Bettis through injury, he was called on to ride in 5 of the last 7 races, and his 8 points gave England the match. 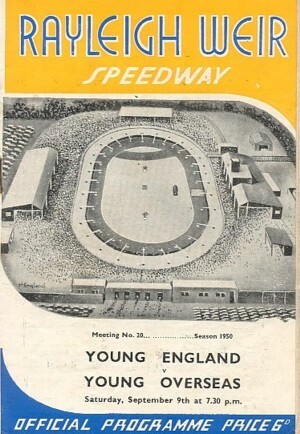 Young England team at Eastbourne, 1958. 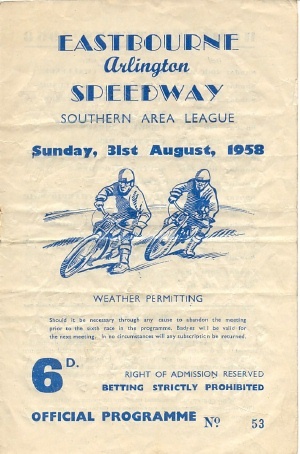 Note : Match abandoned after heat 12 - result stands.